I am not sure if it as a result of the awful condition of UK roads or the sudden hot spell we have had recently, but the rear view mirror started to rattle in a very metallic annoying way. To be honest the way the mirror vibrates due to the inevitable convertible ‘scuttle-shake’ could be the long term underlying cause. Anyway it was time to get it fixed! Once the mirror is unlatched and the electrical connector disconnected the whole assembly can be taken the workbench or kitchen table! First using a firm straight pull-outward, remove the dipping adjustment control knob and place it to one side. 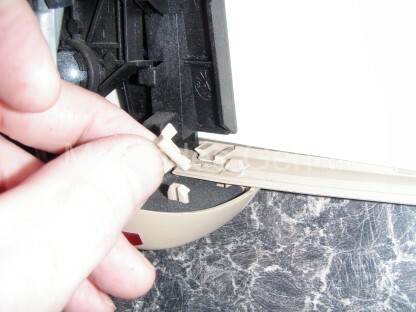 Start by carefully prying the add-on light pod from its four peg positions. It will with care detach from the bottom of the mirror. (it is pegged into the rear cover and bezel) Once this module is free, the rear cover levers out from the bottom, unhooking from two internal retainer hooks inside the top edge of the rear cover/bezel (one of these hooks was broken on my mirror too). The complete back cover should now release from the bezel, allowing you to gain full access to the internals of the mirror. Having now done this off the car – I realise that maybe the mirror back cover could be actually be removed in situ. By unclipping the add-on pod at the bottom and hinging the cover out at the back, disengaging it from the bezel. You could probably get access to refit a mirror holding spring without actually removing the mirror (maybe!) – Not really sure why you would want to struggle with this on the car, but I thought I would just mention it as it all adds to the DIY detail! As you can see the mirror glass and bezel is held onto the adjustment gimbal by a black plastic panel. On each side there is a flat spring metal clip that applies captivating pressure to the black plastic panel by trapping each end of the flat spring to the upper and lower edges of the bezel. There are locators in the moulded plastic to facilitate this. 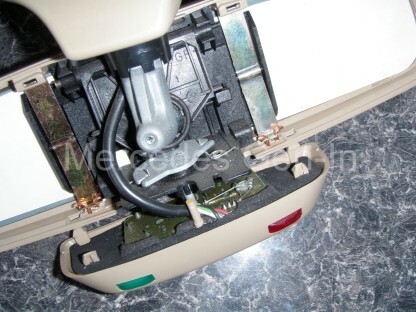 These are the pair of springs that fall out – or worse, break the the retaining moulded section they latch into, so they no longer hold the mirror in place. The springs then fall down and jangle in the bottom of the mirror housing, accompanying the rattling mirror glass. 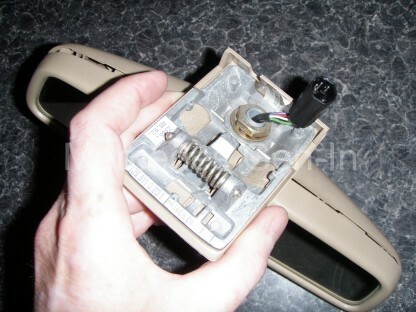 There has been several owner forum write ups on this job, delving as far as refitting the springs, but in every case if there has been mention of the plastic breaking – then a replacement part has had to be sourced. 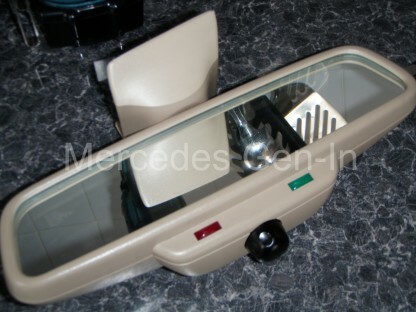 Matching your trim colour can be difficult with second hand parts and the later mirrors fitted the C class W202, S Class and their derivatives of the era, had an integrated one-piece pod for the alarm/locking indicators so were incompatible. Much better I think to repair what you have to better than original if possible, than pay out a fortune for the exact replacement part. Just touching on how other ‘how-to’ write ups may mention bending the springs to apply more pressure to the mirror backing or even using foam pads to build out the gap between the back plate and increasing spring holding pressure – It is my view that by doing any of the above you run the risk of breaking the fragile moulded ears that locate the springs to the front bezel. 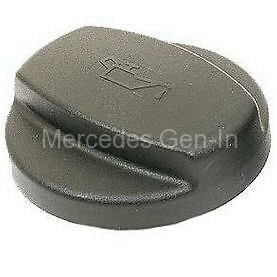 As long as the pressure applied is sufficient to hold the mirror to the backing plate then nothing more is needed – more than needed pressure on the plastic = more chance of stress and future breakage due to the harsh environment and extreme temperatures it is subjected to in the windscreen of your vehicle. 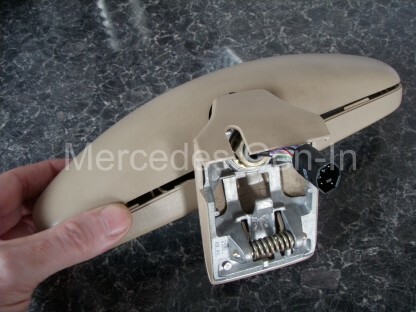 I wonder if my mirror had maybe in the past had similar repairs or that over time (20 years) the plastic was no longer up to holding the pressure applied by the springs and eventually breaking off the moulded ears – who knows. 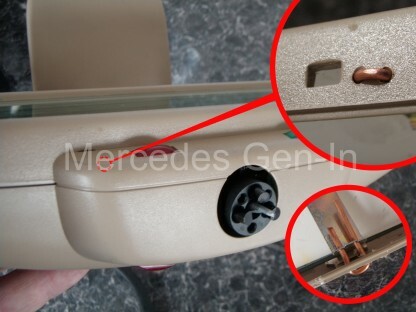 If as in the case of my mirror, the lower retainer ears for the springs were completely broken, the spring location point can be repaired quite easily with the use of a small drill, a length of 1.5mm solid copper wire (electrical mains cable) and some simple tools. First take both springs to a bench vice and drill two 1.5mm clearance holes in one edge of the small upturn of the flat retainer spring. Hold the spring in place and drill two matching holes in the lower part of the mirror bezel. Be sure that the holes you drill lie behind the small square holes that locate the add-on indicator light pod. As long as they remain behind this hole line, the repair will not be seen as it is fully covered once the pod is re-attached. Using snipe nose pliers, bend the copper wire to make an elongated ‘U’ shape staple with as tighter radius ‘square’ bends as possible. Insert this through the bezel and locate the drilled end of the flat spring onto the copper wire legs. Position the flat spring as close to its original position as possible using the remaining upper locators for reference, then bend over the copper wire at 90 degrees to secure the spring. Trim the wire to a length that just extends past the edges of the spring. Repeat this for the other spring if necessary. 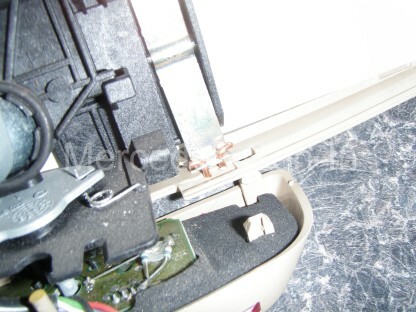 Now slide in the black plastic mirror support plate under the flat springs and position it correctly on the mirror back. Fold down the springs, locating the middle ridge with the raised edge on the plate moulding. 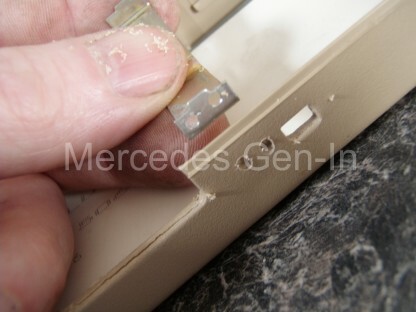 Using a screwdriver, with the mirror and bezel on a stable flat surface, push the springs top edge down to latch under the remaining locators. Once these top edges are snapped into position the mirror can be rebuilt. Hook the rear cover into the two retaining hooks and close the cover. Clip the add-on indicator light pod into the bezel to hold the complete case assembly in place. Check around the bezel edge, ensuring that everything is located correctly. If you have damaged or broken tabs that are used to hold the case together, use a spot of clear silicone on the mating edges of the case and tape it together until fully set. Refit the mirror dipping knob, clean / wipe over the mirror and case in preparation for installation. 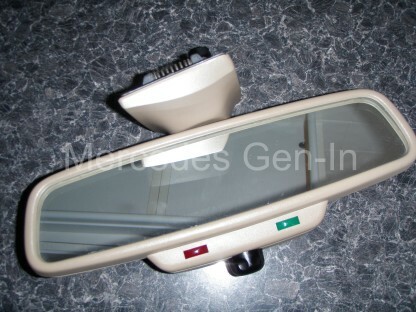 If you feel the need, apply a light smear of grease to each of the two sprung loaded ‘pips’ that engage with the snap-in shoe mount on the car, connect the electrical plug and push back the newly repaired mirror into place. 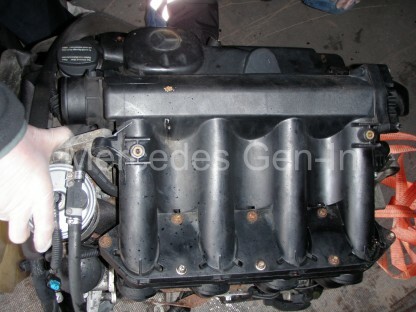 For whatever reason you may be looking to purchase a used replacement engine, there are quite a lot of pitfalls that you may fall foul of if unaware. I hope to highlight some of the things to look for and be aware of when searching for that ‘mechanical bargain’ in the small ads or breakers yard. 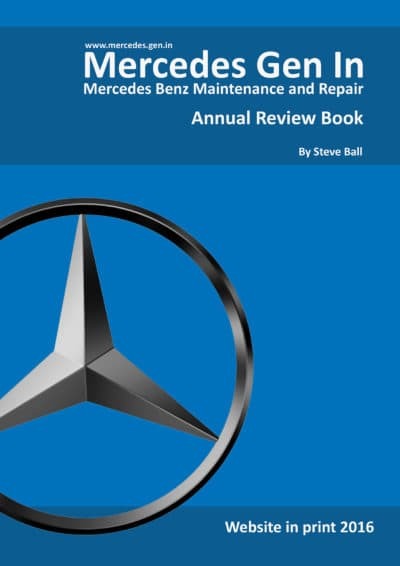 Indeed this guide could be used to assist you if you were about to purchase a used van and needed to know/check a few things out indicating the condition of the engine before you buy. Probably the most obvious thing is, ‘can you hear the engine start and run’? Without doubt this is the best way to buy a used engine. 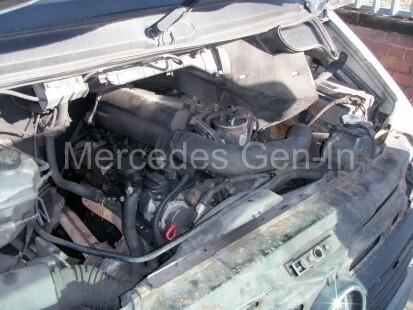 Quite often engines may be removed from a scrap vehicle and sold on this basis. They will frequently be strapped to a pallet or resting on an old tyre waiting for sale and although there is little you can do about that, there is a few things you can check to be more positive about your potential purchase – especially as you will not be able to hear it run! Don’t forget to take along your torch on any reccy’ as you will need this for most of your checks. If you do get chance to inspect an engine while it is still in the vehicle, make a mental note of the mileage and ask questions of the seller – even before you lift the hood/bonnet or turn the key. It goes without saying the reason for the sale should be credible, if the rest of the van looks good, one would ask why the engine was being sold – is it stolen and being parted-out? Just be aware. If the registration plate is still there make a note of this too, along with any vin number. The purpose of this is to have all the information to hand if you need to later double check if the engine is compatible with your vehicle, these are the details that a dealer or independent will need to cross check the parts on his system to confirm compatibility with your own vehicle if you are in any way uncertain. Have a quick look at the engine in situ, dip the oil and look into the coolant expansion tank – it is that the vehicle was front ended, the radiator will likley be broken and there will be nothing to look for in here, but have a look anyway. It should be clean inside with no frothy oily mess and should not be coated with thick brown rusty sludge. As with any other vehicle purchase if you can, you will want to hear it run from cold. It should start without hesitation and soon settle into an even idle. Try and gauge if it is as quiet as your own engine was when it was working properly. If there is no coolant, you will not be able to run it for long so quickly pull of the breather hose from the oil separator or turbo intake pipe and look for smoke and pressure here, if either is excessive walk away. This is an indication of worn bores and/or piston rings and really not what you want to be buying into. You can look for fumes and blow-by pressure at the dipstick tube also, but this is not always as conclusive as what can be seen at the breather pipe. Can you here the turbo spool up? If you are in doubt remove the air cleaner cover or intake hose to the turbo body and dab the throttle. You should hear a healthy howl if everything is working correctly. Glance back to rear of the vehicle as you rev the engine and make sure you can still see the sky! Should be clean inside, no brown sludge, no oily mayonnaise. With the engine cold and running, carefully remove the filler cap and place your hand over the coolant reserve neck, get an assistant to blip the throttle, there should be no pressure to lift your palm off the lip. Have a quick glance inside – no bubbles is good. Problems here could indicate a potential head gasket issue. While it is normal for a high miles engine to be a little ‘wet’ with oil around this area, any white smoke or fumes beyond the ‘barely visible’ from the vent pipe that runs to the turbo inlet could signify worn bores and/or piston rings. Pull the pipe from either end and observe to be sure. Do not be too concerned by traces of oil here and also if the pipe is gummed with a little mayonnaise as in many cases this is normal. 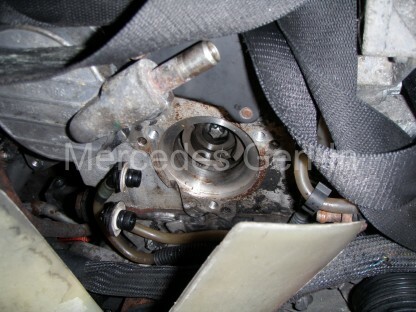 Water vapour, moisture and condensation escape from the crank case and exit here to the turbo inlet. The device that is present on the lower pipe is not a sensor it is a small heater! This actually stops moisture and crank case water vapour freezing in the vent pipe in colder climates, blocking it. Pull this and check the oil level, there is not much to be told from the black oil that will be on the end but caution must be observed if there is any water droplets, froth or whitish deposits on the stick. As with the coolant tank inspection any issue here could mean that the head gasket may be suspected as leaking. Any obvious quantity of water in here could also mean that the oil cooler fixed to the side of the oil filter housing is passing pressurised water into the engine – not good. There should be little or no pressure, or smoking from the open dip stick tube. Pretty much the same visual inspection applies as above. 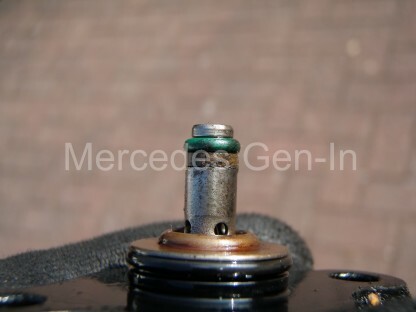 Do not remove the oil filler cap with the engine running – you will have an ‘oil-shower’, as the duplex timing chain runs directly beneath the cap. If there is a lot of oil around the filler cap it is not unusual for the cap-lip to be slightly split, allowing oil to pass out onto the rocker cover and run down the left of the engine finding its way onto and into the alternator! Start from underneath with your torch, you will not need to jack the vehicle, just slide under and look under the front bumper. Places with oil staining and dripping will be very easy to spot. While most oil leaks can be fixed, there are some cost implications to be considered depending on what and where the leak is. A leak around the crank pulley for example will mean it will have to be removed and a new seal fitted, often if this has been leaking for a while the harmonic damper pulley (if fitted) may have suffered deterioration due to the oil. (See Harmonic Damper Pulley in the check list) Oil may be leaking from the rocker cover, do not assume this will be a simple fix, if it is going to be a problem all the injectors have to be extracted to remove the cover and replace this gasket, doing so can sometimes open a whole can of worms (Injector removal and so on). Lots of oil around the turbo body is not a good sign, it should be reasonably dry and in most cases the iron casting should remain red rusty. 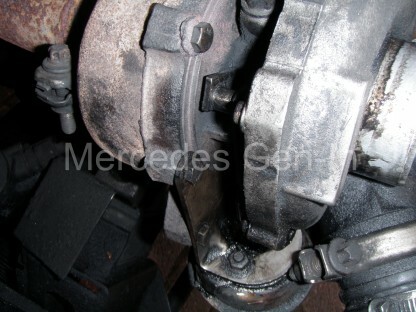 Look beneath the turbo and seek out where the turbo oil return pipe enters on the sump line. This could be oily, contaminating the surrounding area, indicating the oil return pipe seal requires replacement. (two gallons a min. circulate through here!) The turbo/manifold has to be removed to replace this commonly failing seal. Look also at the joint between the gearbox bell housing and the rear of the engine, any serious black engine oil presence here could indicate a crankshaft rear seal that is weeping. Not a huge job to do when the engine is out but best avoided if at all possible, certainly another tick or cross when you are debating your offer price. Water leaks should be easy to spot, especially if antifreeze is present in the system. It will leave tell-tale staining in the form of a coloured salty scale. Look at the water pump behind and up from the crank pulley there is a tiny hole in the pump casting nose, any staining or wetness here could mean the pump seal is failing and will be due for unit replacement. Obviously hoses are an easy fix if leaking and should be all checked before putting the engine into service in your own vehicle. Importantly include the small bypass hose at the rear of the block RHS above the starter motor area, this is a nightmare to replace once the engine is in situ due to poor access. While not a major issue to rectify if found to be suspect, it is worth checking the harmonic damper/crankshaft pulley that lives at the bottom front of the engine – it drives all the belts and is the main pulley from the motor crankshaft. This is made in two mating parts, bonded together with a rubber metalastic material that is designed to absorb crankshaft borne detonation pulses, reducing noise and vibration of the running engine. What happens over time is the rubber sandwich deteriorates (often through oil contamination) and the two pieces begin to part company. 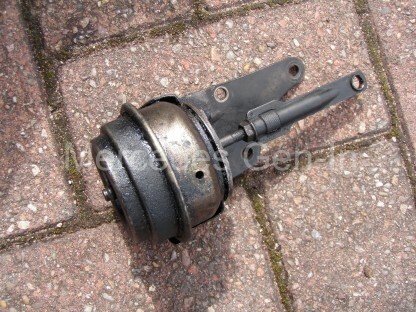 When things have got quite bad, the pulley begins to make a ‘clacking’ sound as it rotates (usually people tend to think its a far greater internal engine problem, as it can get very loud indeed) It is actually the pulley edge catching on the crankcase as it revolves. Its presence can sometimes occur only under load as the pulley flexes it can be hard to spot. Look at the pulley with your torch and identify the rubber seam circumference, if it looks tired and cracked then budget to replace this before you refit the engine as failure can result in expensive engine damage. In itself not a full diagnosis, but you can also try to gently pry bar the edge of the pulley away from the block to get an indication of any detrimental flexing that may be present. This is probably the most important check that you will do and will be the most awkward, both from the point of view of asking the seller if you can take a few parts off to inspect it and also from the point of view it will take you about 20 mins to complete. What I would do is leave this as the final ‘deal breaker’. If you are happy with what you see, agree with the vendor a price on the proviso the injector inspection proves satisfactory and explain that without this inspection you are not interested, whatsoever – This is actually very true, as if overlooked and bought blind, the engine could land you with a bill approaching and exceeding what you have just paid for the complete engine! 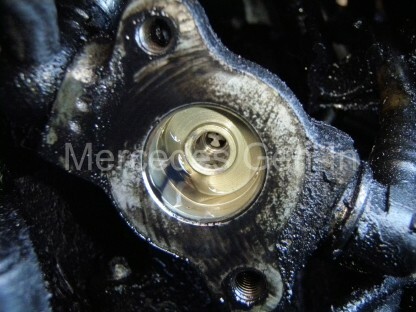 Of course if the injector cover is not fitted or missing further inspection is easy and far less of an issue for all. Having agreed your ‘investigation’, you will need four tools. A flat blade screwdriver, reverse torx socket wrench or a 10mm/8mm ring spanner and a 5mm hexagon key. Undo the turbo inlet hose from the inlet manifold and tuck it out of the way. Undo the 8x torx pins holding the top of the inlet manifold to its lower section, remove the single pin at the front near the fuel filter and the rear fixing pin behind the plastic manifold, on the top left looking in, just sneaking under the bulkhead. 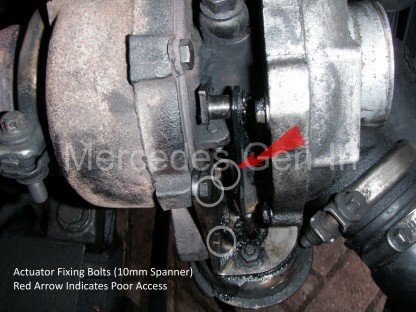 (This one is often not fitted/missing as it is a PITA to get at – again a measure of lesser quality servicing maybe!) Lift off the upper inlet manifold section. This will reveal the 6x injector cover hex cap-screw fixings. Once these are removed, lift up-and-off the injector cover. If it makes a ‘crispy crunchy’ noise as you begin to lift it away, you could almost refit it at this point and just walk away! Once you have the cover removed all should look fairly clean and oil free under there. Be aware the oil separator may have deposited a little oil around the adjacent area but the overall appearance should be clean and dry. Any black carbonous coal like substance and you will have some work to do. This condition signifies the injector seals have failed on one or more injectors and will need to be replaced, as combustion gasses are blowing-by the injector seats/seals and depositing carbon waste on the engine surface. The common name given in the trade to this condition is: ‘Black-Death’. Mmmmm maybe its worth less than I first thought! A bad case of Black-Death… It should look like the first image at the top of this post. 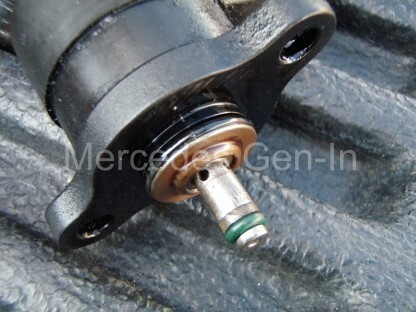 The presence of any Black-Death around the injectors will and should drastically effect your offer price downward. This job is known to be very difficult to price, as issues encountered along the way could range from injectors that cannot be removed, stripped hold down clamp bolts and deep cut sealing seats in the head pockets due to passing exhaust gasses. Each extra issue encountered, over and above normal labour cost, will soon double or treble the overall cost of repair and caution should be heeded when making your offer. Be sure to make your bid based on a worst case scenario. There is plenty to read on this subject both here on Gen-In and on the web, just Google it and learn what you need to know. If the vendor does not understand the issue you have uncovered, then simply look elsewhere, at least safe in the knowledge your decision was made wisely and with due diligence. Overlooking to check here can cost you dearly! Look at the engine above that otherwise looked a very good buy indeed. You have been warned. Satisfy yourself that the engine sounds good (if you get chance to run it) and that there is no knocking or tapping noises over and above the normal engine song. Any metallic ‘Brrrrap’ possibly from a little end heard under a throttle blip, or heavy knocking noticed under load or overrun, then leave well alone and look else where. Place your hand over the exhaust at idle and feel the regular pulses from the exhaust, if irregular there is a chance you have a slight misfire at idle and this may need work in the future. Poke your fingers up the exhaust pipe and wipe around, hopefully this is dry sooty-black. If its ‘sticky’ or ‘oily’ this is probably an indication of water or oil passing through the exhaust and in my view would be best avoided. Look at the emitted gasses from the exhaust – all but for a slight whiff of black soot, visible on a sharp jab of the throttle is good. You don’t want oily smoke like this… Blown turbo in this case. 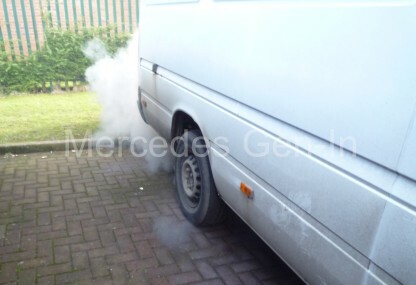 Any white smoke, as severely shown above indicates oil presence – worn engine or turbo. White smoke that ‘magically disappears’ or dissipates quickly is likely water from a suspect head gasket. Listen to the auxiliary belt as the engine idles, is it flapping around? Look at how it runs over the pulleys, is it straight or canted over? 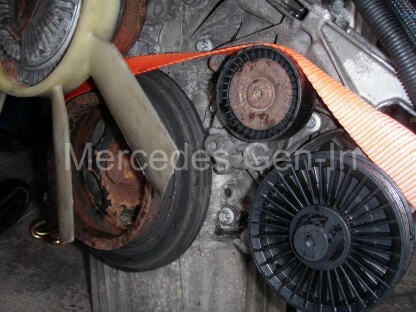 If not running true or overly noisy this could signify worn idlers or failing belt tension device. Check to see all the pulleys on the drive belt route are true and not wobbling, indicating worn bearings that will soon need replacement. When you turn off the engine it should stop without fuss, any clicking or snapping, cracking noise could indicate that the ‘sprag-clutch’ on the alternator pulley is failing. 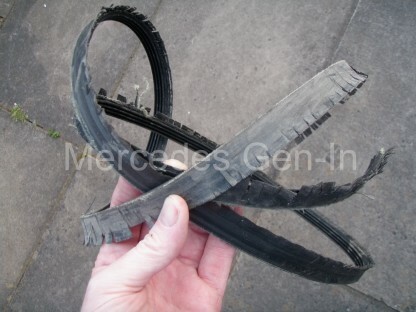 Turn the serpentine auxiliary belt over with your fingers, if its cracked or worn it is usually a good indication the van has not been regularly serviced as this would have been changed under the maintenance regime. 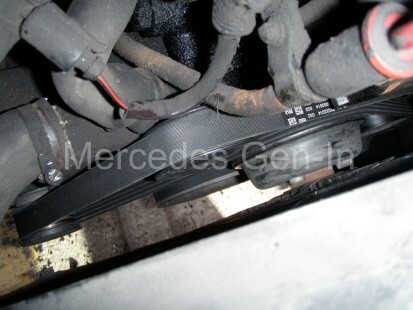 As a rule of thumb an auxiliary belt in this condition is an indicator of poor servicing. Similarly the age and appearance of the fuel filter canister often gives away the lack of recent servicing. Overall you should be happy that the engine appears to reflect its mileage – remember you are not buying new and its unlikely that it is going to be perfect. It is mainly all about minimising your risk and getting the best deal you can without spending a fortune on rectifying a catalogue of unknown problems even before you get to grafting the replacement engine to your own transport. 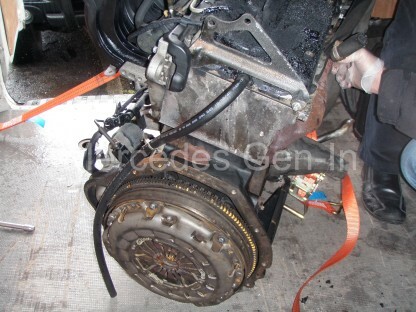 It goes without saying if you are buying a ‘static engine’ out of the vehicle, do make sure it turns over by rotating the flywheel, a simple thing to do but often forgotten in the heat of the moment – who knows how long the unit has been standing? If the engine has had its loom cut – often the scrap dealer considers just the engine to be of value and not the ancillaries – be prepared to negotiate your price down a little as its a time consuming job to swap your existing loom over to the replacement engine. I had a replacement engine come in that was ‘loom-cut’ about the point where it passes across the left hand engine mount. On this occasion I chose to cut our own existing loom section and solder/heat-shrink the individual wires to the ‘new’ engine to make up a serviceable loom. There were sixty wires or more to deal with, although time consuming it is possible, noting a few important provisos I discovered along the way when carrying out this task. -2 The ‘Twisted Thicker’ pairs of cables are injector cables and share the same colours as other conductors. Make sure you keep the twisted pairs together when joining. -3 There are two identical ‘Black with Yellow Tracer’ wires in the loom bundle at this point. One goes to the starter motor solenoid, the other to Glow Plug No.2 Make sure you meter these wires out and ensure you have continuity to the correct points. The Starter cable goes back to the grey ECU connector and the other glow plug supply should route to the glow plug module loom connector. Just make doubly sure these two Black/Yellow wires that are of identical gauge are joined and routed to the correct point or the vehicle will not have a start signal to the starter. If after the rebuild you suspect this may have been overlooked as the starter does not spin, its an easy check to test continuity between the starter solenoid cable ring tag to the glow plug module supply. If it bells out then you will have to split the loom and swap over the two black with yellow tracer cables – a good reason to double check this in the first instance! 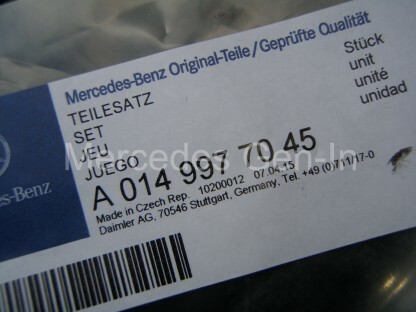 -4 If your purchased engine has its loom in place you should at least give the ECU connector plugs a once-over, as if its been standing outside for any length of time moisture may have begun to work its evil on the fine connections to the brain of the vehicle. If these look good thats great, but worthwhile treating them to a squirt of switch cleaner and moisture repellant before locking them home in the ECU. Hopefully the above has given you a little insider knowledge to be able to assess wether the used engine you are considering is worth what the seller is asking and that you factor in any remedial work into your repair budget before ‘splashing the cash’. There are undoubtably some bargains to be had out there, equally there are also rogues who know the full nature of the faults/condition of their engines, looking for a fast return. Always try and get a written warranty of some sort for the engine where possible, at least one that covers it running without issue when fitted. If you are buying from a local source maybe ‘in the trade’ and they are reputable, it is worth an extra few dollars/pounds over a private sale to have the security of even a one month warranty – It is worth remembering too that although your extra labour costs would be lost in any claim, removing and returning the faulty engine – often its better to secure the return (at least a large proportion) of your hard earned than not. I am sure the opportunity to purchase from a private buyer will crop up and the normal ‘caveat emptor’ rules apply but with careful inspection and honest pricing, taking into consideration any faults noted, there are bargains to had from genuine people. Just remember, minimise your risk as much as possible by using care and vigilance – knowledge is power! Obviously this has not covered every single check-point or eventuality, but it at least prepares you for what you may find on your mission! I hope that it has at least helped you out a little. 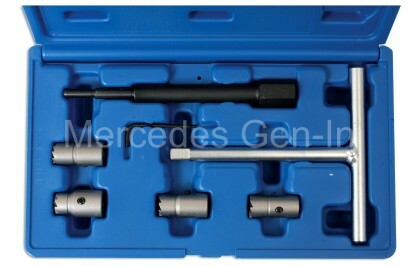 You may have read previously either here or on the web about the use of the Honda Accord 2.2 Diesel injector seals in applications for Mercedes CDI diesels. 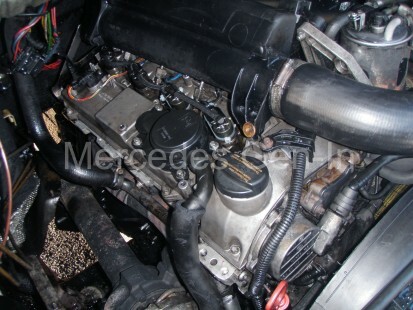 Sprinter, Vito, E320, C220, C 320 etc. Here is an instance that really benefited from the use of the alternative sealing washer. I had one of the courier fleets T1N 4 metre Sprinters in for repair due to a chuffing injector. 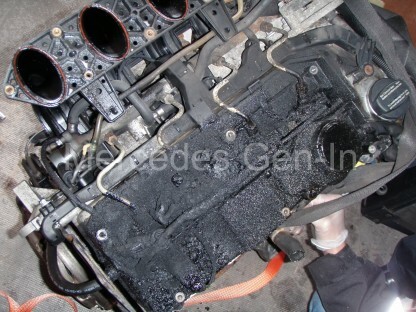 Unlike most common ‘Black Death’ related failures this one had just decided to spray diesel everywhere under the bonnet without any prior warning or over-time buildup of coke around the injector. Previously the other 3 injector seals in this engine had been replaced with Honda types and this single remaining one (No.2 Cylinder) was an original Mercedes OEM seal installed at the same time as the others, simply because I had no more Honda parts available. On removal of the injector (slacken injector hold down clamp bolt and run engine to normal operating temperature – this often unseats the injector allowing relatively trouble free removal) It was discovered the seat was scored and pitted. The seat was recut then lightly faced with a hand reamer / face cutter tool then checked with a mirror and torch. I knew this seat was good last time I replaced the seal so there had been a problem with blow by gasses cutting the seating face. So now all seals have been replaced with Honda parts and the van is once more good-to-go! This engine, along with the van itself has covered over 500,000 hard courier miles and although the piston rings/bores are now nearing end of life (increased crank case pressure) it still sounds sweet and runs like a train. Also interesting testament to chipped and tuned engines and their longevity, this one was performance chipped from new and at half a million miles running its hard to say that it has in any way been detrimental to its life span – an interesting point of note. 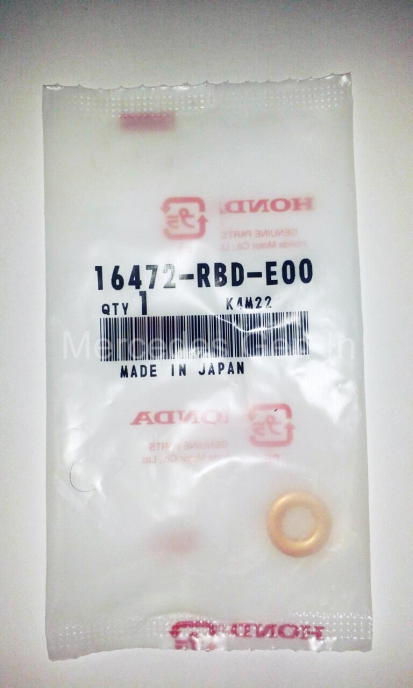 I have photographed the Honda part (injector seal) above in its original packet for ease of identification and obtaining the part should you wish to use the alternative copper sealing washer. They look slightly thicker and are definitely made from a softer more malleable material than the OEM Mercedes units – My own view is that this ‘softness’ assists in sealing to irregular hand cut/cleaned seal faces and seats better than the harder MB equivalent washers.